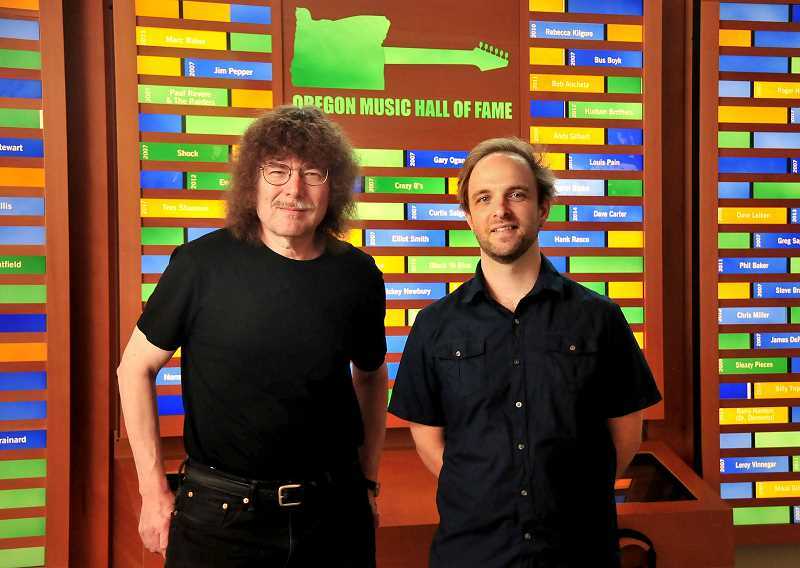 When Youth Music Project founder Sally Bany first met Oregon Music Hall of Fame co-founder Terry Currier, she asked him where the hall of fame was located. It was a seemingly basic question that had dogged Currier since OMHOF was formed in 2003. "It's in about five different garages," he replied. Everything changed after that meeting, however, as Bany lobbied Currier to join the YMP board and eventually offered the OMHOF a permanent space at the YMP headquarters in West Linn. 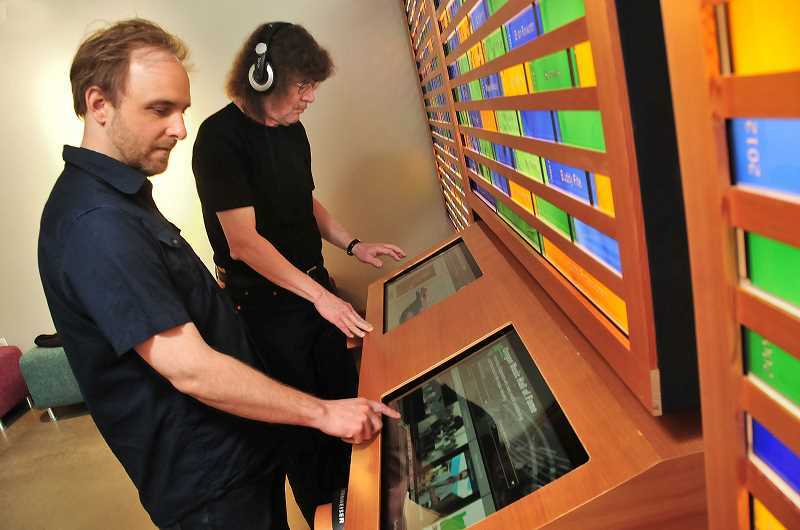 In 2015, OMHOF opened a display in the YMP lobby featuring a stained glass wall with the names of inductees as well as an interactive kiosk with information about the artists and audio samples of their work. Rotating display cases featuring memorabilia from inductees also filter in and out. "They actually built on (a) room with that in mind," Currier said, referring to when YMP was constructing the building. "What's great about this facility is that a lot of parents are coming to pick up their kids, and they come into that room and they have some spare time, (so) they can interact with that." Indeed, Currier and YMP Executive Director Travis Magrane see this as a natural partnership that benefits both organizations and — most importantly — the young musicians who pass through the doors of YMP every day. YMP, a nonprofit formed in 2012, is based out of the former Willamette Christian Church on Willamette Falls Drive and aims to provide affordable music education for kids from around the Portland metro area. Between 800 and 900 kids take classes regularly at YMP, according to Magrane, and it takes just a quick look at the scores of names on the wall for them to see what's possible if they stick with their passion. "In some ways the Hall of Fame is looking back, and yet as a school and working with young kids, our thing is looking forward," Magrane said, "to try to seed these kids with skills not only musically but culturally and sort of the social, emotional development pieces. They're the next generation, so tying that together just kind of makes sense." Currier added that the Hall of Fame's diverse set of inductees — including not just musicians but also behind-the-scenes professionals like promoters, club owners and sound specialists — can open students' eyes to the broad range of opportunities to be found in the local music world. "There are people recognized on that wall that a lot of people don't recognize — 'Oh, they were from Oregon?'" Currier said. "So the educational factor is really good on that end. There's also a bunch of people up there that people may have never heard about unless they come through here, because we try to recognize people behind the scenes in music, too." While it's been three years since OMHOF moved into the space, the display is still considered something of a hidden gem in the area. "I don't think that many people know about it here locally," Magrane said. "Occasionally we have some people who pop in (after they) found out about it, but it's not a steady stream of people." But Magrane and Currier are working to increase awareness and hope to start a concert series at the YMP's Meteor Lounge. "It's one of the better sound systems you're going to find here in the Northwest," Currier said. "So it would be a really great thing to do a series of Hall of Fame inductees (performing) up in that room." For Magrane, the concert series would give kids the chance to meet hall of famers and help crystalize their own dreams as musicians. "Every kid who comes through here wants to be a rock 'n' roll star," Magrane said. "So to be able to see someone who's doing it, and in the Oregon Music Hall of Fame, to get some of that 'stick at it' (attitude), the tips and tricks and seeing them play — I think that could be a really powerful experience. "Most music schools don't have that immediate tie to the legacy we're talking about."